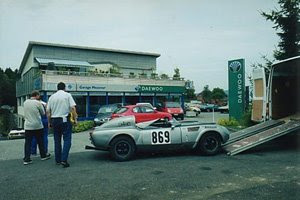 Save a brief visit to these shores in the mid 1990s Triumph's most famous racecar has been wandering the globe since it left Coventry in 1965. 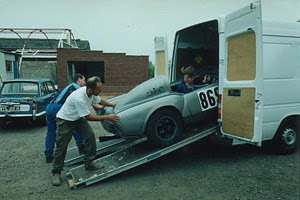 Now back in Coventry for good care of Canley Classics Triumph Specialists The Macau's future is assured. 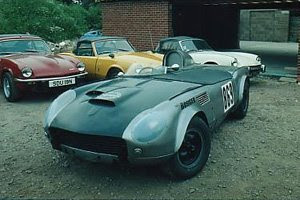 Soon to be housed in a purpose built museum dedicated to Triumph, growing to become one of the largest collections of Triumph prototypes, racecars, and memorabilia in the world. 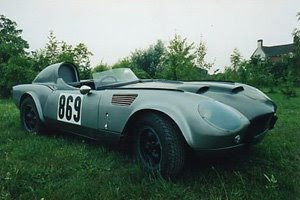 Originally built for the 1965 Macau Grand Prix in which it finished third overall it had many further successes in the Far East before being shipped to Triumphs American racing department. 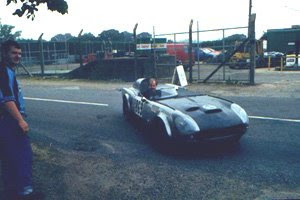 Here it was modified by Triumph tuning Guru Kas Kastner for a further period of racing. Dropping into temporary obscurity in the late 1970s early 1980s, at one time actually used as a road car by a Texan owner in the mid 1980s. 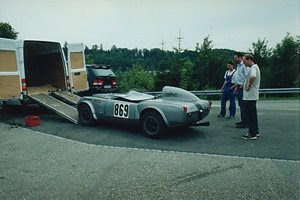 Surfacing at a Classic car auction in Switzerland in the early 1990s it was bought and kept in a private collection in Switzerland until last week. Now in need of sympathetic restoration the car is however in remarkably original condition for a well used former racecar. After The Macau's period of inactivity the engine needed a little work before it was again fired up for a short drive along the roads it left 35 years ago.